"I live in Longfellow Road and since the middle of last week I've been puzzled by a constant sound in the background - a roaring sound, like an huge air conditioning unit or a massive hairdryer. This weekend I could stand it no more so traced the source of it. 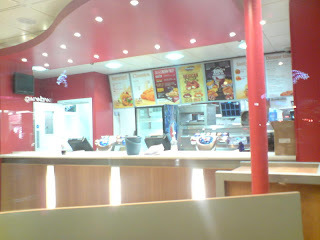 It turns out the noise nuisance is coming from our good friend KFC - apparently from their extract system. I've no idea what they did to it last week but it was never that noisy. Goodness knows what the noise must be like for people living nearer to it in Caldbeck Avenue. My back garden used to be so peaceful, but now it's like living with a constant hairdryer noise in the background". Are you being plagued by the roar of KFC? Post your comments below.